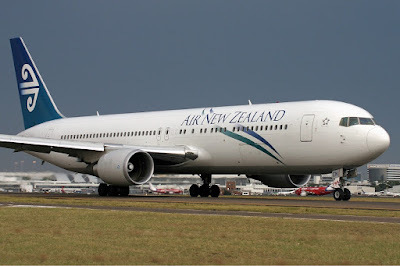 Aviation Updates Philippines - New Zealand's flag carrier Air New Zealand has announced the postponement of its direct Auckland-Manila service due to administrative reasons. Air New Zealand Boeing 767-300ER at Sydney Airport. Photo from Wikimedia. Air New Zealand earlier planned to introduce non-stop Auckland to Manila flights with the Boeing 767-300ER. Flight schedules and specific launch dates were not announced, but tickets will be sold in the middle of the year. "Air New Zealand has elected to defer the launch of its direct service to the Philippine capital of Manila," the airline said in a note to travel agents. "Administrative delays in being able to make the new route available for sale, coupled with the traditionally longer booking window for this market, have led to the deferral decision." the airline added. "The service was to launch in December 2016, but has now been deferred until further notice." ANZ Chief Executive Officer, Christopher Luxon, said in an April 2016 report, the Filipino population in New Zealand has more than tripled since 2001. The airline expects that flights between the two capitals will be popular as it is the most convenient way to fly. Direct flights between the two countries will only take up to 10 hours and 30 minutes, depending on weather and wind conditions. It can save up to two and a half hours each way compared to a twelve-hour flight from Manila to Auckland via Cairns. For the mean time, there are no direct flights between New Zealand and the Philippines. However, Philippine Airlines currently operate flights to Auckland via Cairns from Manila utilizing an Airbus A320-200 aircraft.